After Mount Rainier, Mount Baker is the most heavily glaciated mountain in the Cascades. Mount Baker was first climbed in 1898 by Edmund T. Coleman and his party. Mount Baker is the second most active volcano in Cascade Mountain Range, although it's last eruption was in 1880. Mount Baker is the third-highest mountain in Washington, and the fifth-highest mountain in the Casades. There are ten main glaciers on Mount Baker. Read Lummi Indian legend about Komo Kulshan, or the "Great White Watcher". Mount Baker offers an interesting guided ascent for beginner-intermediate climbers on one of North America’s most sought -after peaks.Referred to as Komo Kulshan, or the “Great White Watcher,” by the Lummi Indians, Mount Baker is the highest and most heavily glaciated peak in the North Cascades. Our route ascends the Easton Glacier with challenging route finding through icefalls, seracs, and large crevasses. Incredible views of the North Cascades, Mount Rainier to the south and the alluring San Juan Islands to the west await those who reach the summit. 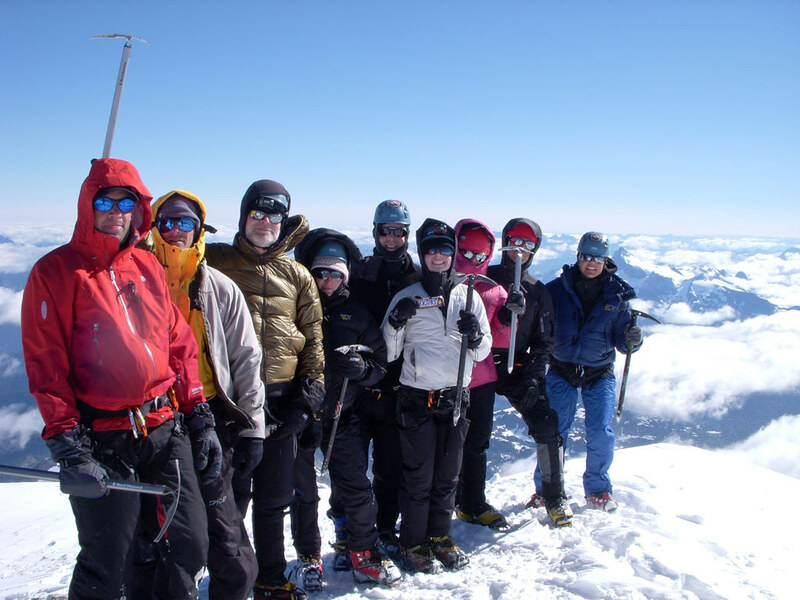 With its twelve active glaciers and breathtaking views, 10,781 foot Mount Baker provides a scenic and extremely rewarding mountaineering experience for both first-time climbers and seasoned veterans alike. 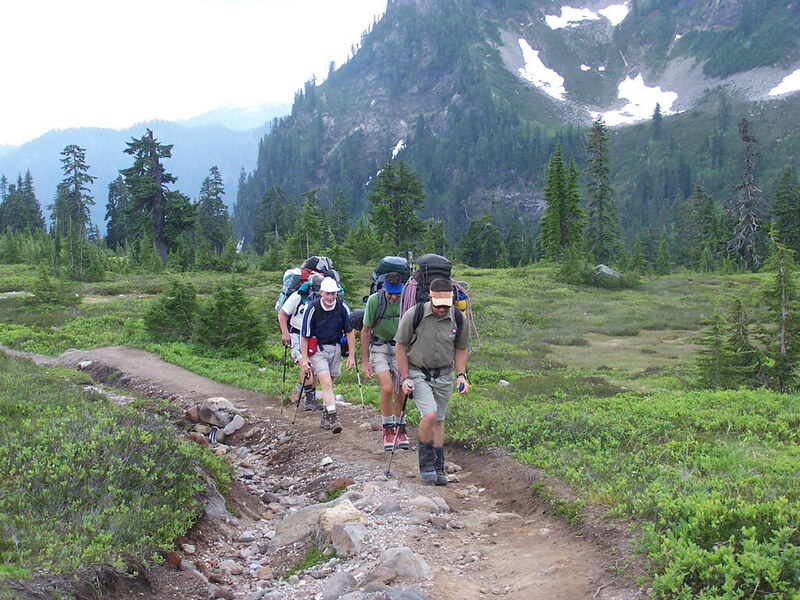 Unlike the crowds found on popular Mount Rainier, your ascent is performed in the untrammeled Mount Baker Wilderness Area. 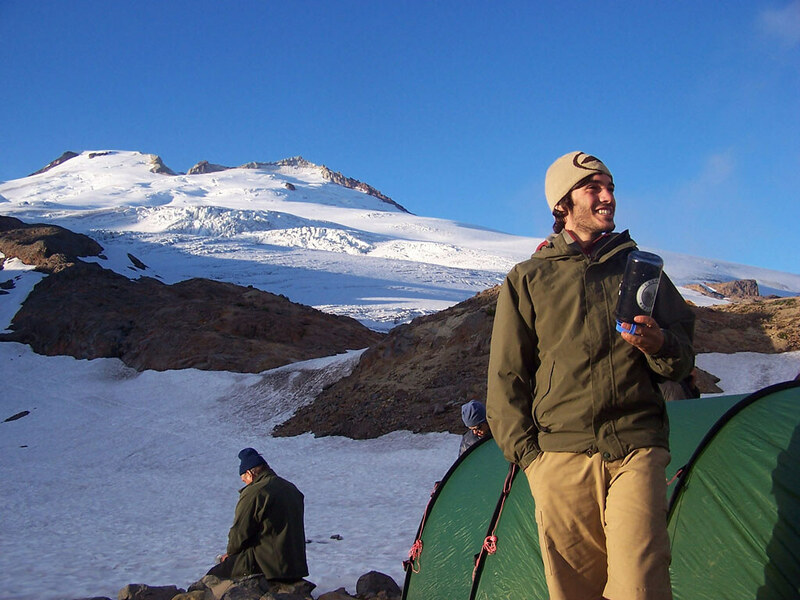 Climb Mountain Madness-style: Transportation, food, and tents provided. Enjoy our guides' outdoor culinary skills – they cook for you! "I have never felt so alive in my life than during this trip! You allowed me to live a dream of mine with absolute safety and comfort. Our guide was phenomenal and the food was plentiful and literally gourmet fare. I loved it!" 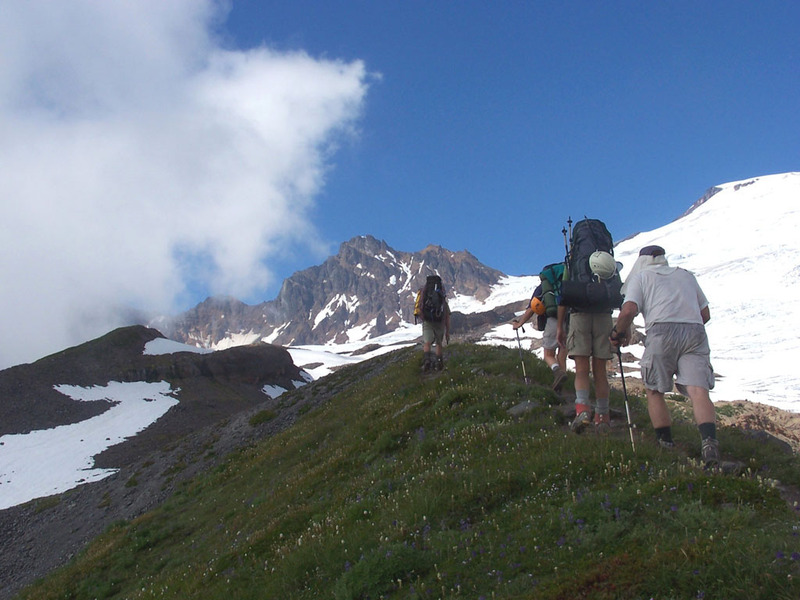 The upper mountain’s alpine environment and the lower mountain’s close proximity to quality teaching terrain make Mount Baker an ideal location to learn and review mountaineering and glacier travel skills. If it’s your first big climb, our goal is to teach fundamental, introductory skills, while giving you hands-on experience. The skills developed on Mount Baker will provide valuable insight into what is needed to tackle bigger climbs throughout the world. 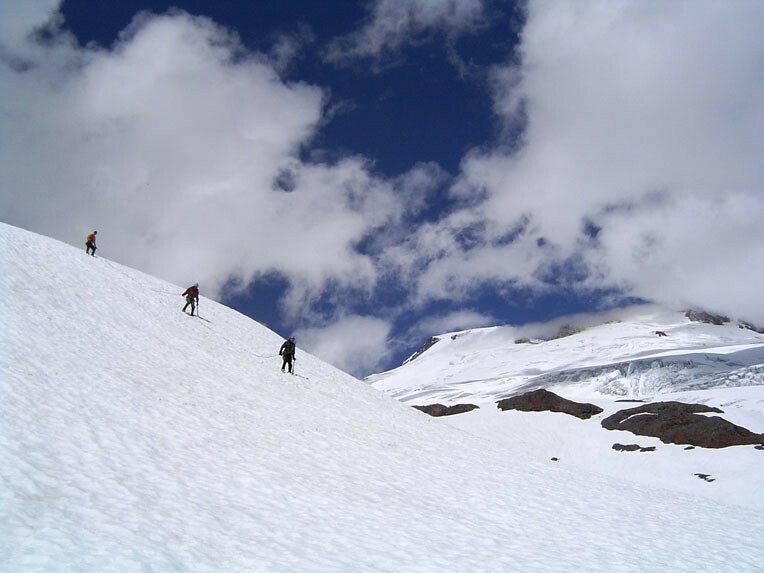 Mount Baker’s Easton Glacier is a recommended conditioning or training climb for other Cascadian volcanoes, Denali, Aconcagua, and other high altitude peaks – and it's a great climb in its own right!